The Bullets field is typically used to hold a descriptive summary of the product. This can be a bulleted list or a paragraph. 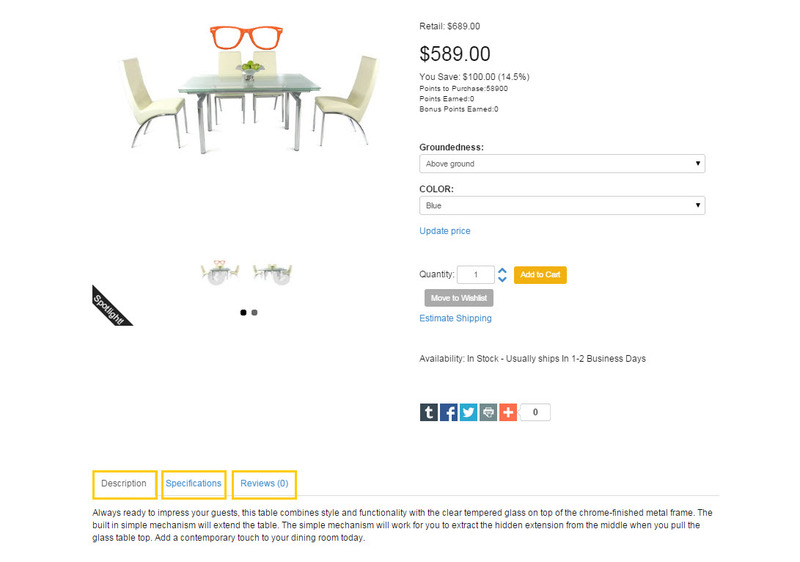 By defualt, it appears on the product details page near the product photo, outisde the tabs area. The Long Description 1-5 fields are usually used as the source content for the product details tabs. They can also be put outisde of the tabs via merge codes. Only tabs with content will be visible on the product details page. 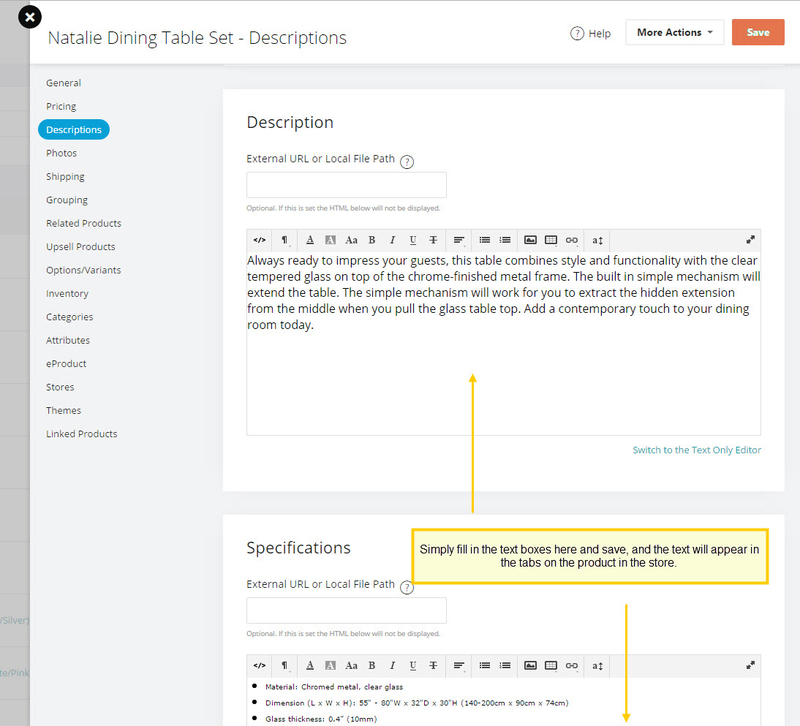 All tab names are labeled as relevant topics for your products by default. This can be set on individual products, or globally on the Product Details page HTML Editor. You can take a look at our How do I globally Change the product description tab names KB for more information. Where are the bullets set up? I want Height, Width, Depth, Material, Food Safe to be bullet points.